Grant Wood, Veterans Memorial Window, 1929. Good question. The following article about the window’s renovation states that the window was “built” in Germany: http://www.thegazette.com/2013/06/07/grant-woods-war-memorial-masterpiece-on-display-during-cedar-rapids-festival. 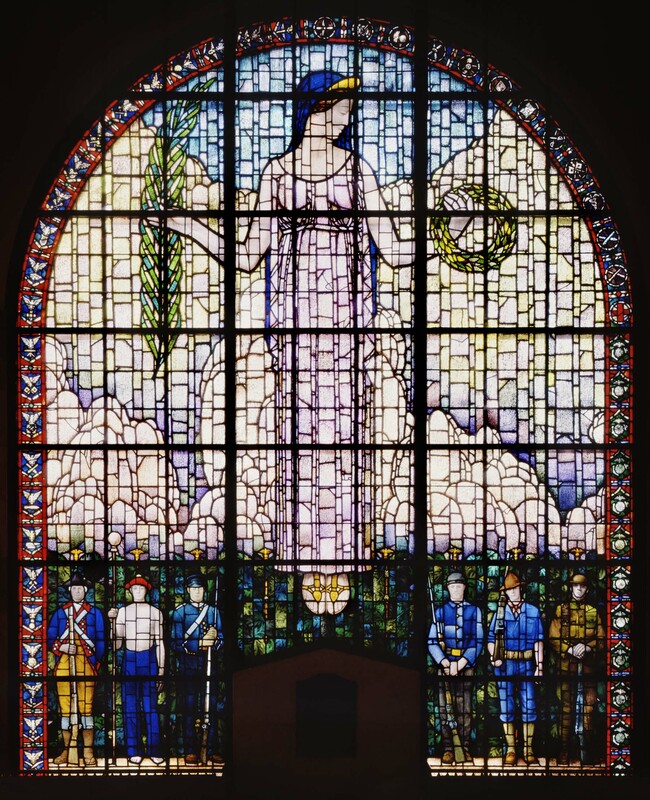 Someone at the Veterans Memorial Commission in Cedar Rapids would assumedly be able to give you a firm answer: http://www.cedar-rapids.org/local_government/departments_g_-_v/veterans_memorial_commission/grant_wood_window.php. Very Interesting, I had never heard of the work. Who actually constructed the glass into the window. Was that also done in Germany and then shipped?